The U.S. Naval Air Systems Command (NAVAIR) has signaled the beginning of a new race to supply the next Presidential helicopter. The release by the Program Office (PMA-274) on Nov. 23 of draft request for proposal (RFP) for the Presidential Helicopter Replacement Program (VXX) contract had been expected and is likely to be followed by a formal RFP around mid-FY13, according to the NAVAIR advisory notice. An industry day was scheduled at Patuxent River in Maryland in early December. 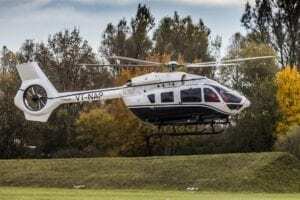 The new VXX helicopters will replace the old Sikorsky VH-3D and VH-60N aircraft currently in operation with Marine Helicopter Squadron One. 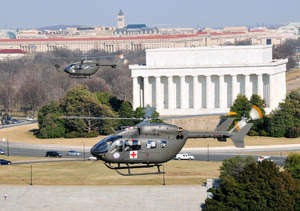 The Lockheed Martin/AgustaWestland team won the last Presidential Helicopter competition with the US101 (VH-71 Kestral) in January 2005, beating Sikorsky’s S-92 Superhawk. The budget—originally set at $1.7 billion—was blown away by cost overruns that exceeded $3 billion over four years thanks to continual additions and alterations made to the original requirement. Nine US101s were actually built by the termination of the order in June 2009—four test vehicles followed by a further five aircraft. The total order envisaged was for 23 helicopters. Competition and the dwindling number of large of defense contractors can create bedfellows that were once rivals for the same contract. Sikorsky and Lockheed Martin were pitted against each other only a few years ago while trying to capture the prize of the initial VXX competition. 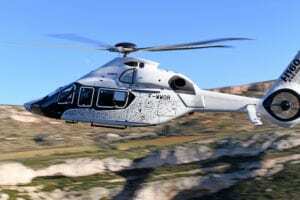 Sikorsky was offering a version of the S-92 Superhawk transport and Lockheed Martin teamed with AgustaWestland to submit an American variant of the AW101 Merlin. The competition—awarded to Lockheed Martin in 2005 before being cancelled in 2009 due to cost issues—was, at least in the view of the public, intense and hard-fought. 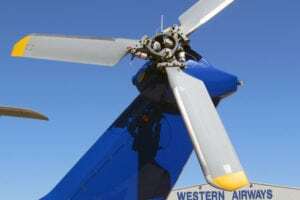 While Sikorsky and Lockheed Martin were duking it out for the win, the two companies were working together, most notably in systems integration for the U.S. Navy’s MH-60S Knighthawk and MH-60R Seahawk rotorcraft programs. In fact, the two companies have partnered on different programs for almost four decades. Two recently released GAO reports (11-380R and 12-380R) are designed to help the next iteration of the VXX competition avoid some of the pitfalls that eventually led to the cancellation of the initial VH-71 Kestrel program. Taking on some of the GAO lessons, the Navy, in its draft solicitation, is looking toward an off-the-shelf, FAA certified, rotary wing replacement for the long-toothed Sikorsky VH-3D Sea King helicopters currently serving the executive transport mission for the White House. Facing the S-92 in the VXX competition will be the AW101, this time offered by Northrop Grumman in partnership with AgustaWestland. A Boeing spokesman stated that the company was studying the Navy’s proposal request and would analyze the requirements to see if either the CH-47 Chinook or the Bell/Boeing V-22 Osprey might be offered for the program. For a time, Boeing had entered into a licensing agreement with AgustaWestland with the AW101 specifically for VXX. All of these players are likely candidates in the Air Force CRH program as well.